It is our promise is that we will take our classical design skills and years of experience both designing and consulting on design, and apply those skills to the creation of a memorable solution that will fit into your overarching strategies and business objectives. That includes, but is not limited to, identity development, print, environmental graphics, presentations, and websites. As a small shop, you also have the comfort of knowing that there are not layers of bureaucracy between you and your solutions. MooseDesign is proud to be a Hypersites developer, and to be able to provide dynamic, content-rich websites to our clients. Contact us today to see how we can help! 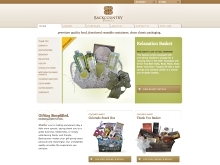 Backcountry Baskets makes your gift basket-giving more personal and meaningful. 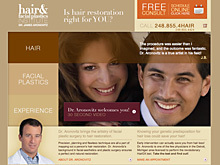 Dr. Jim Aronovitz specializes in hair transplant and restoration in Detroit, Michigan. 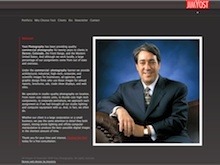 Yost Photography has been providing quality commercial photography for twenty years.